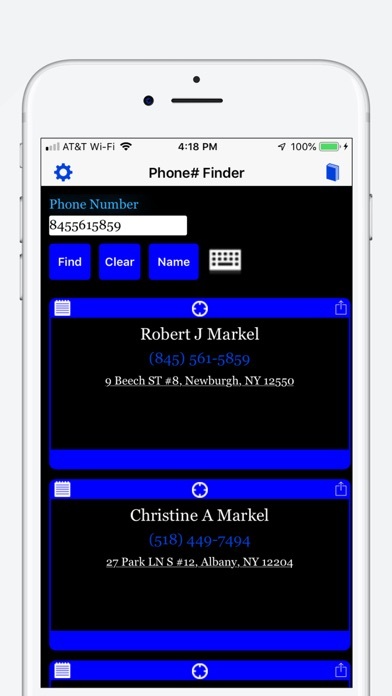 Phone# Find finds a person's phone number using any portion of their name or address. Can also do a reverse phone lookup to find their name and address. 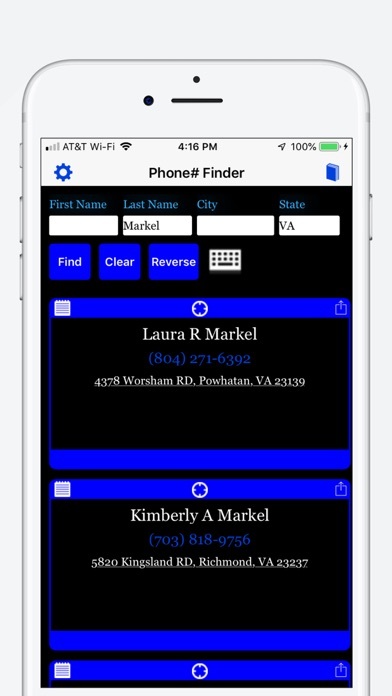 Click on the found phone number to make a call that person. Click on their address to view a map of their location. Share results to Facebook, Twitter, and other services. When you search, all resulting matches are displayed including the name of the person, their phone number, address, and age, if available and any associations. The best way to search is to provide all of the information: first name, last name, city, and state. 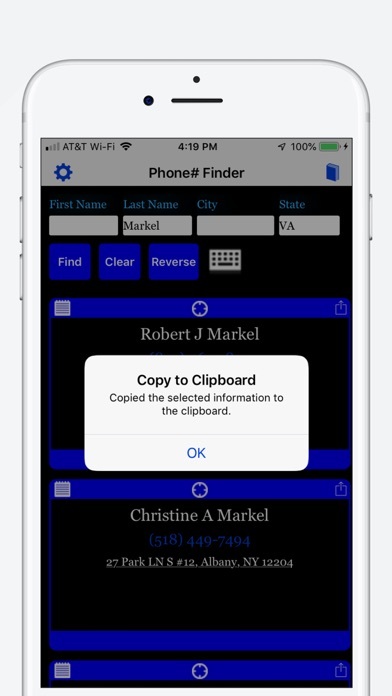 Use at least the last name and as much of their address and first name to narrow down your phone# search. You are required to provide at least the last name. By default, the last search is saved and run when you restart the app. Similar closely matching results are shown after more exact matches. The address and phone number in blue are clickable. 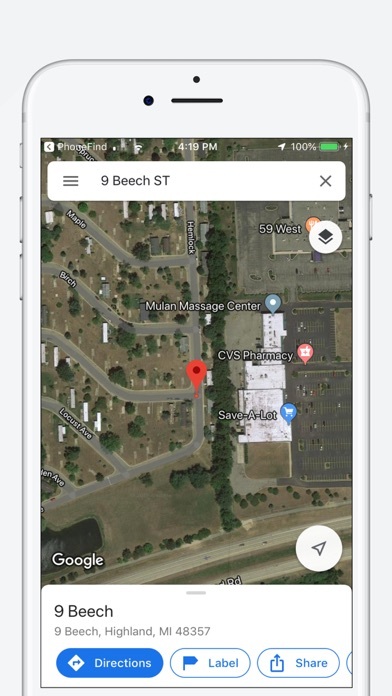 Clicking the address will display the address on Apple Maps. Clicking the phone number, on an iPhone can call the number and on an iPad, you can create a contact for the phone number. Any blue items are clickable. The associations in yellow are clickable. Clicking on a name will ask you if you want to find that name. You may then copy any address to the clipboard, display on a map or share using such services as Email, Twitter, Facebook and much more. Each resulting matching address has two icons above the address to the left and right. The left icon is for copying to clipboard, the center icon is for showing on a map and the right icon is for sharing using a service. 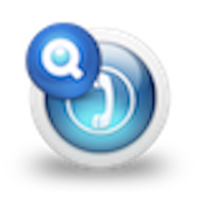 Use the left most icon to copy any information to the clipboard for use by other apps. Use the right icon to share the information using Email, Twitter, Facebook, and many more services.